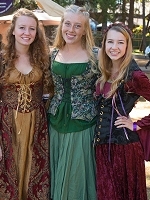 Living history guilds, jugglers, story tellers, highland athletics and more are showcased throughout the grounds. 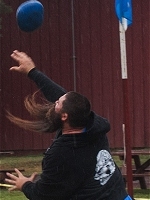 Gold Country Highlanders are competitive strength athletes and strength sport historians. 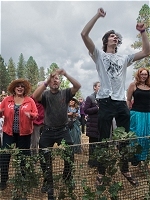 Led by Grass Valley residents Jeff Mackey and Eric Kenyon, GCH demonstrates the raw power, speed, strength, skill and surprising grace of the ancient Scottish heavy athletics. 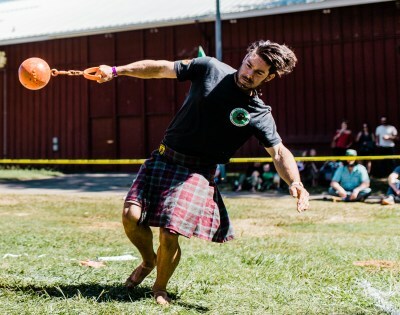 Men and women and visiting athletes perform the traditional stone throws, weights-for-distance, Scottish hammer throws, caber toss and more. 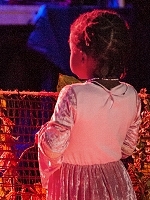 Parent(s) must stay in the Children’s Area with their child or children. 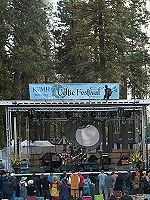 Share the magic of Celtic lore with your kids at this year’s KVMR Celtic Festival and Marketplace. 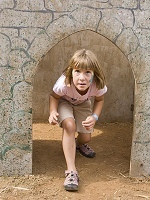 Parents are invited to stop by the Children’s Area with their kids to explore the magnificent straw bale jungle gym, take part in Celtic crafts, learn to play a jig or reel and even seek royal favors from the Queen. 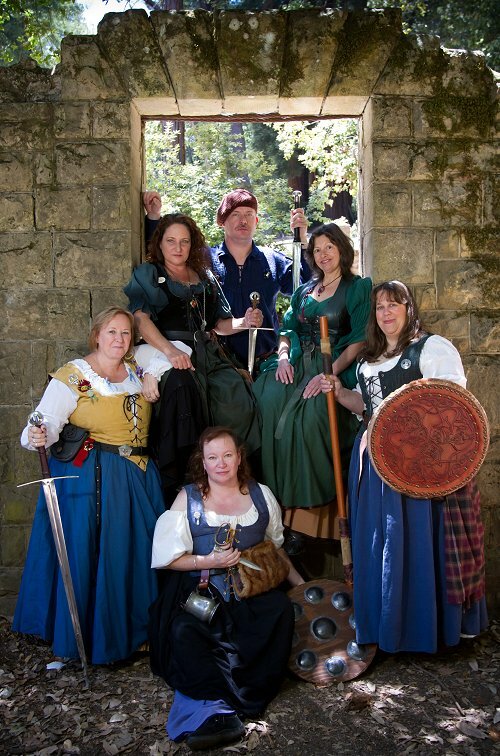 This group of re-enactors portrays the Highlands of Scotland as they were in the 1500’s with full armored contact. They have researched extensively to recreate this time accurately. 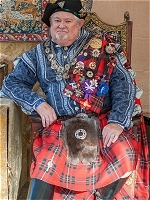 Lord Hugh Fraser, Earl of Lovat, is the chief of Clann Fraser. 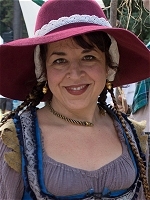 Anddra Magnus Macpherson is chief of the Macpherson clan. Well respected by both friend and foe alike, he is heir to the clan holdings. After attending St. Andrews in Edinborough, Anddra returned home to the Hielands to defend his clan from Macintosh raids. 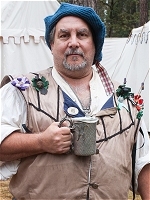 Pol Ross was born on a croft but now makes his living as a mercenary in the employ of Lord Fraser. 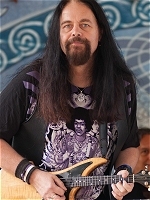 His wife, Lorna Ross nee Troy, comes from a Norman family that immigrated to Ireland. 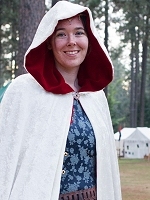 Each re-enactor can share centuries of their history and demonstrate the skills necessary to stay alive in the 16th century. 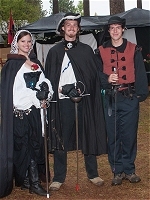 Clan Galbraith is an entertainment troupe that portrays 15th/16th Century Scottish Highland Mercenaries. 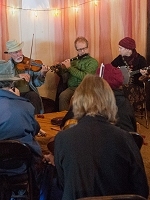 Our members come from all walks of life and backgrounds and enjoy sharing history through entertainment. Life in the Highlands was never easy, especially in the Grampian Mountains. Due to the constant conflicts in the region, many of the leaders were either killed or deported from Scotland’s borders. 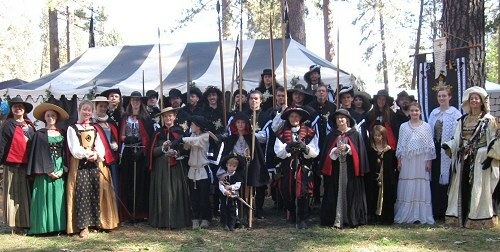 As a matter of survival, Clan Galbraith became a mercenary band; adopting other orphans and outcasts, and arming women. 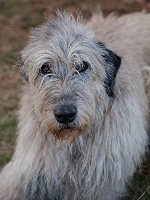 All able bodied Galbraith must be ready to fight; fore it truly was a matter of life or death. 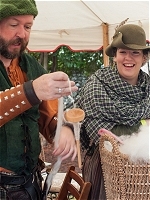 Clan Galbraith features include: weapons, chain maille and archery demonstrations. The Diamond Rose Academie d’Armes is a historical fencing school dedicated to promoting the techniques and principles of Western European Martial Arts through the study and practice of fighting systems of the 16th through the 18th centuries. 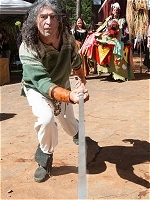 We do not stage or reenact swordplay, every duel fought is a genuine test of skill in the art of defense. Our fencing is rooted in the French traditional that emphasizes timing, subtlety, and strategy over brute strength or speed. 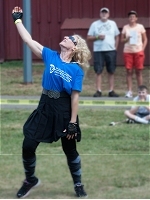 The Diamond Rose provides education and entertainment in our tournaments, duels, and melee games, as well as offering free introductory fencing lessons to the public as time and instructors allow. 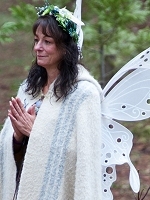 We have year round classes in Auburn and Marysville. 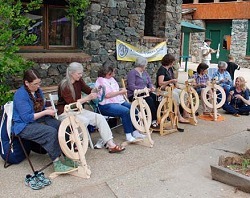 For over 30 years, the Foothill Fibers Guild has brought together fiber artists – weavers, spinners, knitters, basket-makers, crocheters, and more – to share skills and experiences. Our members’ skills range from novice to expert. 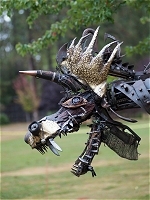 The guild includes many talented teachers, including locally- and internationally-known artists. 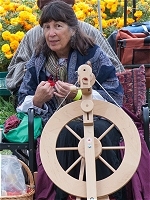 Many members also raise fiber animals, including sheep, alpacas, goats, and other creatures. 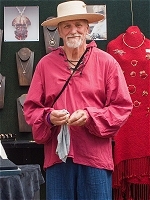 Guild programs and workshops present finished works and opportunities to learn or refine many skills. 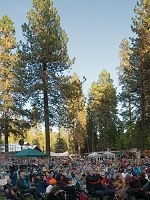 We meet monthly and welcome visitors and new members. 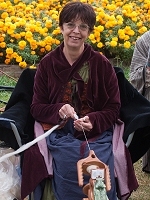 This year the guild will be demonstrating a “Sheep to Shawl” where we spin the wool into yarn and then proceed to weave in into a shawl. This is a team effort. When finished, the shawl will be donated to the KVMR raffle. 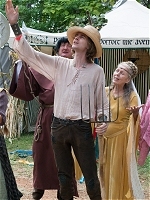 The members of The Harvest Home Revelers guild thoroughly research medieval and Renaissance observances of ancient agrarian cycles of harvest and planting, then invest a great deal of energy and fun in re-enacting the “revels”, honoring life, death and re-birth in the year of a farming community. 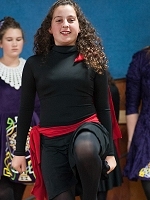 The entire troupe parades daily through the Celtic Village singing and playing instruments, stopping to engage the audience in dramatic re-enactment and ribaldry. 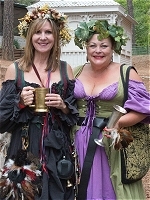 Look for a warm welcome at the guild’s “Golden Queen Inn.” where our own “Mistress of the Jig & Reels”, Eileen, will be inviting guests to join her in a step or two accompanied by the Inn’s own band. 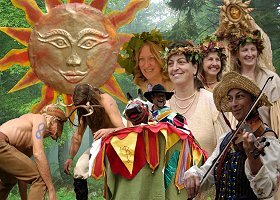 You might join in the singing of a rowdy ballad with the locals in the great room or catch the Inn’s beautifully garbed, “Garland Dancers”, weaving the intricate shapes of the Morris Dance Tradition. Our marionette version of the Bard’s late comedy of mistaken identity, confusing love situations and outrageously, unlikely plot propositions with four of the original hit tunes sung by Rossignol. Highlanders in the Mist represent the highlands of Scotland. Made up of kinsfolk, mercenaries, and craftsmen, we are traveling through the highlands, securing the lands of our Chief (who may surprise us with a visit). While the men are out checking on the lands and cattle, the women take care of the camp, and if necessary, protect it. 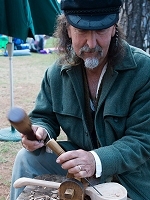 Through our encampment and demonstrations, our goal is to entertain while educating the public about Scottish life – customs and traditions, clan life, everyday tasks, kilting demonstrations, weapons that were used, and how the highlanders interacted amongst themselves, the nobles, and those from other Celtic lands of the time. 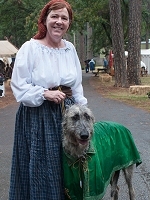 We can represent 16th – 18th century Scotland, depending on the needs of the event. 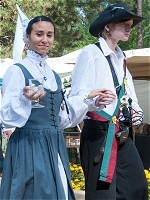 Larks Cove depicts a Late Renaissance Scottish Guild (1580 to 1610), with a nautical theme. 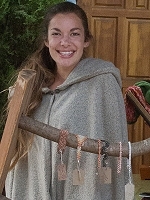 Some are Highlanders that have fled the mainland hoping to live in peace. 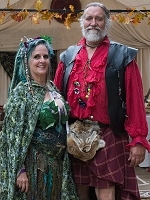 They represent a noble house and the inhabitants of the Isle Mull, both the Manor and the seaport and have a variety of social classes from town including merchants and our household folk. Larks Cove is a family oriented group. 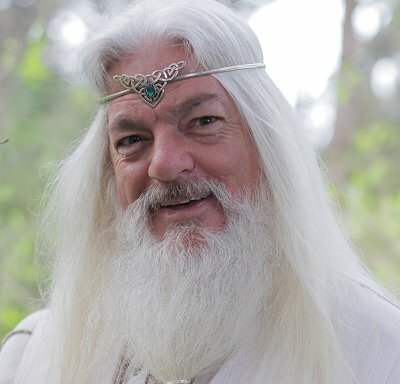 A Seer, Sage, Sorcerer, and Storyteller whose magic is not about tricks but about life. 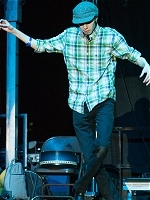 He performs card tricks so mind-bendingly good that you’re likely to stay up an extra hour trying to figure out how he did it. 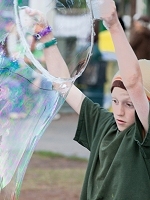 Silvermaine does what great magicians do – he reduces cynical adults to a state of wonder. 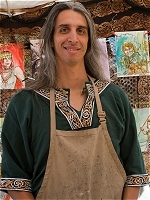 Merloch is also one of our most popular instructors for our Friday Youth Arts Program. 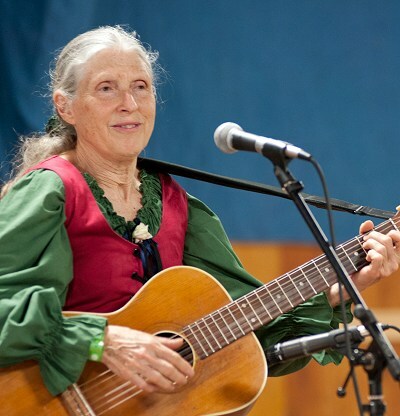 Myra Lynne Traugot presents her personal musical and historical voyage to 18th century Scotland, “Over the Sea to Skye with Flora MacDonald.” In 1746 MacDonald saved the Stuart crown prince by passing him off as her Irish spinning maid, preventing his capture by British forces. Why did she do it and what became of her later? Who were the players in the political and cultural drama? What conspiratorial secrets are hidden in plain sight in the rich musical heritage of the era? 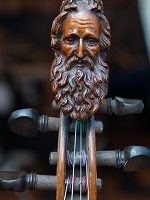 Give a listen as Myra musically informs this piece of Scottish history. 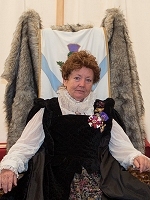 Saint Andrew’s Guild portrays the court of Mary, Queen of Scots and the Isles, as it was in the year 1562. 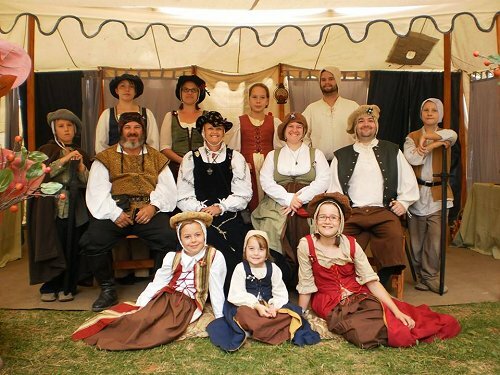 The members of Saint Andrews guild have a love of history, a desire to entertain and educate, and a commitment to have fun as they practice their hobby of historical reenactment or “Edutainment”. 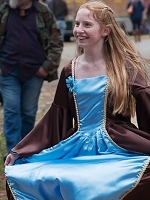 Performing at Scottish Games, Celtic and Renaissance Faires, as well as school events, they bring an exciting period of Scottish history to life recreating the romantic period of Mary’s life right after her return to Scotland from France and while on her annual summer progress. 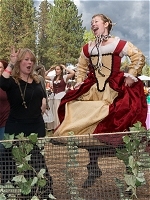 You are invited to join in a dance, have a private audience with Her Majesty and receive a token of Her affection, cheer on Her Majesty’s Royal Guard as they hone their battle skills, have your best friend placed in the pillory. 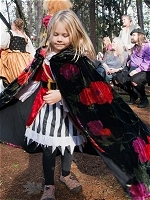 Mayhaps learn about Ancient Alchemy and assist in making that prized possession – Paper! 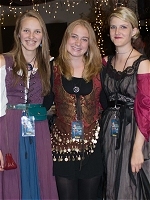 It is a time filled with pageantry, chivalry, danger and intrigue. 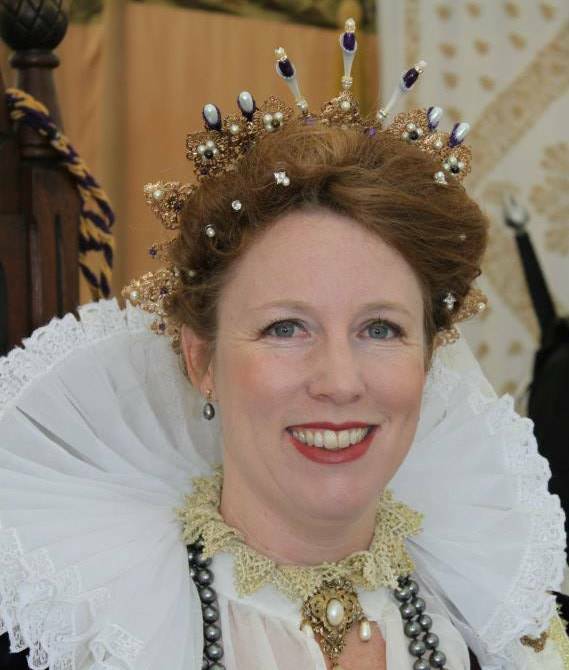 Thistle House Actors Guild portrays the people of the Isle of Mann and all those that land upon its shores during the year of 1560. 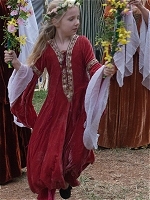 Thistle House is an historical re-enactment guild which trains new folk in the ways of a Renaissance actor and promotes the teaching of history to our young at heart. 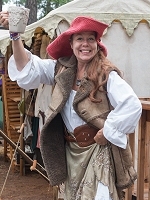 Welcoming all those willing to learn how to portray people of that time period and experience history as an actor in an actual reconstructed encampment at a Renaissance Fair. 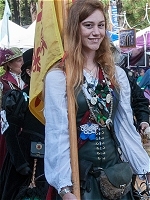 We train those who wish to be peasants, crafters, merchants, warriors, sailors, people of the Isle / Irish/ highlanders, nobles, Knights, Dames,and Royalty. 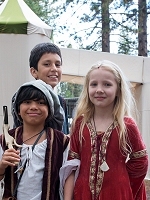 Our specific purpose is to teach history by means of re-enactment and visual demonstration. 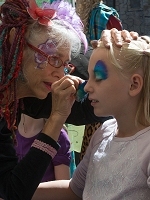 The guild is led by credentialed teachers of Arts, Theatre, Science, and History. 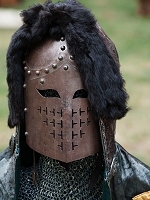 There are many reasons why one should consider becoming part of our organization, especially if he or she loves history, its speech, clothing, foods, crafts and weaponry. We teach our members these topics so they can enlighten others.